Immaculate Home Improvements are the perfect company for any renovation. The company was born to give homeowners in Bournemouth the option to get all home improvements, and building work is done in one place. To do this, we have built our company up of highly trained building specialists. Including our very own in-house fully qualified architect. Capable of designing you a loft conversion, extension or indeed a full new build, of your dreams. Our expert builders and double glazing professionals share over twenty-five years’ experience in the industry. The company and your satisfaction are our passion. We will always go the extra mile to ensure you are completely satisfied with our services and the completed work. Immaculate Home Improvements take pride in delivering all work we undertake. Why not see what others say by looking at our Checkatrade? Immaculate Home Improvements proudly work alongside Sternfenster, one of the leading manufacturers of windows and doors. Much like ourselves, Sternfenster is a family run business. They were established back in 1974, and throughout their forty plus years have developed spectacular products which boast flair, performance and lifespan. In fact, Sternfenster were the first fabricator in the UK to offer a seamless weld on all uPVC windows and doors! Immaculate Home Improvements offer professional double glazing, home improvements, building and maintenance work. We offer a full, in-house building work, windows, doors and conservatories service. Immaculate Homes strive to offer the most competitive rates, for an exceptional level of work. Whether you are looking for an improved drainage system, double glazing, landscape gardening. Conservatories, flat roofs, extensions, loft conversations, driveways, windows and doors contact Immaculate Home Improvements. 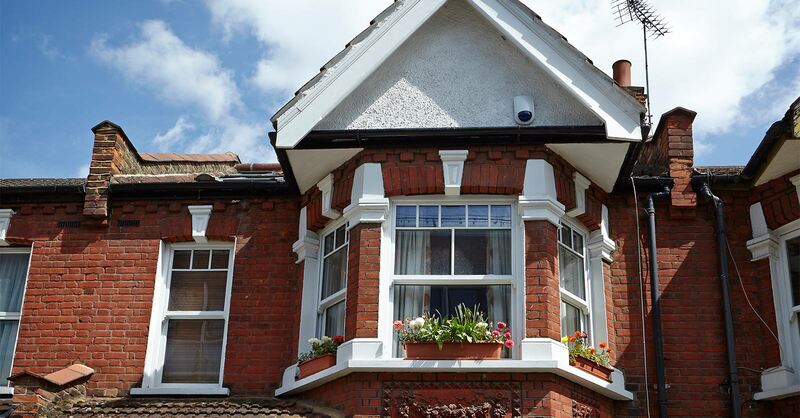 Bournemouth’s leading full-service double glazing, home improvements and building services. Our full list of services includes supply and fit double glazing, uPVC and composite front doors, back doors, sliding doors, garage doors, aluminium windows and doors, conservatories and orangeries, flat roofing, lantern and conservatory roofs, tiled roofs, guttering and roofline products. We can also offer extensions, loft conversions, new builds refurbishments, bathrooms, kitchens, driveway and patios, landscaping and artificial grass, boilers and drainage. If you have a special project in mind, or if you are looking for any of the above work, contact one of our team today. Immaculate Home Improvements offer our double glazing supply and fit service, building work and all other services throughout Southbourne, Bournemouth, Christchurch, New Forest, Sandbanks, Poole, Lymington, Boscombe, Wimborne Minster, Corfe Mullen and the surrounding Dorset towns. We are prepared to travel outside of these locations for certain projects. Please contact one of our team members for further details. We use advanced calculation software to allow you to generate free quotes for double glazing, windows, doors and conservatories. Whether you are serious about renovating your property, or would like to see just how competitive our prices are. Start your free online quote today. If you would like to further information on building and construction work, garage doors, landscaping, secondary glazing and orangeries please get in touch via our contact form. Or, alternatively, give one of our friendly team members a call today on – 01202 427700.